I'm getting my fuel injectors cleaned tomorrow and am having the damnedest time removing the fuel rail. See the pic below, the Pulsation Damper is in the way and there is no way for me to take it off since I don't have replacement crush washers or the special star key to take it from the rail. 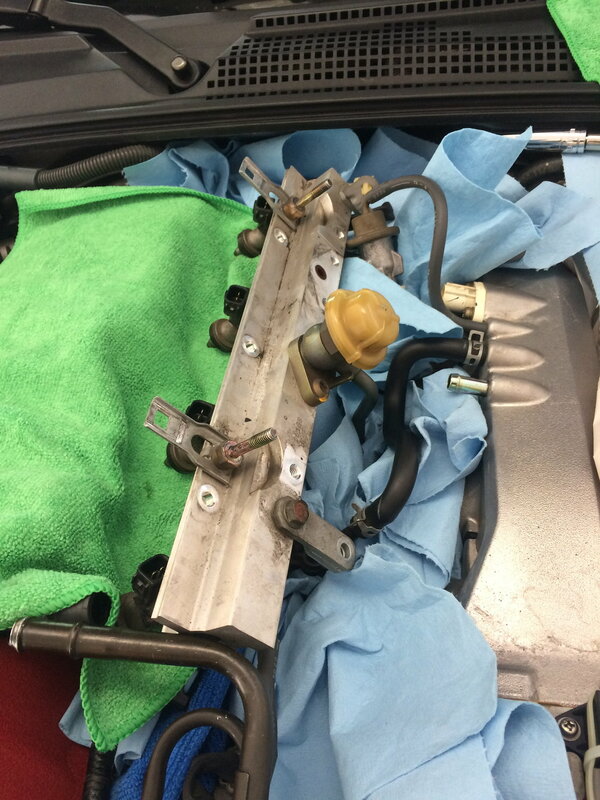 I've read every thread on removing injectors and fuel rails and they all say that the rail 'just comes off straight up.' But mine doesn't and to get to the injectors I have to bend the fuel line quite a bit backwards and that's concerning. Is this how it's suppose to be and you just fight with the akward angle to get them on? Oh mama...the smell of gas is strong! You try twisting then pulling the injectors off? They are held in by the rubber washers. The hard line attached to the damper is attached to a soft hose below it so that is where the flex is happening. 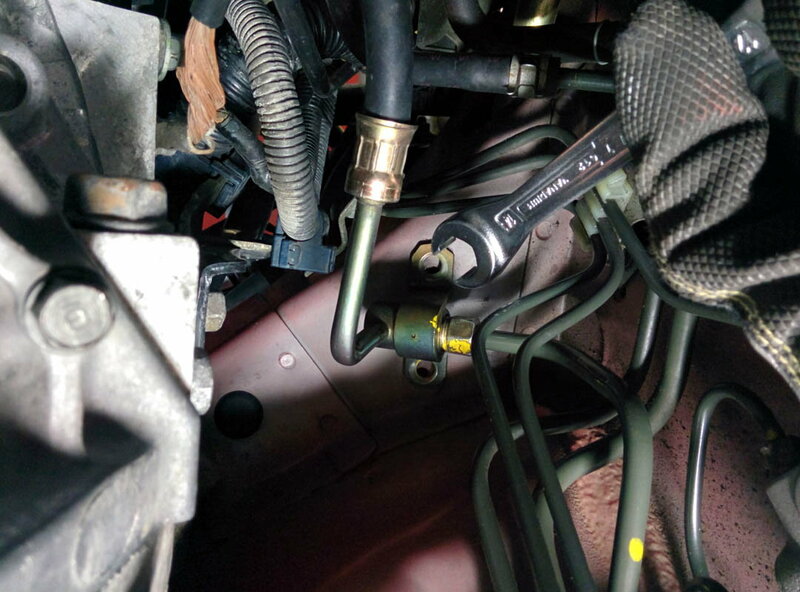 If you want to pull out the rail much further than that you need to disconnect the fuel line. You should use a high quality wrench similar to the one in my pic because it's probably on there super tight. If you just want to get the injectors out that^ is probably not worth it. I was actually trying to get the fuel rail off (not injectors) but realized later that it didn't need to come completely off the car. I was probably huffing too much gas and not thinking clearly.